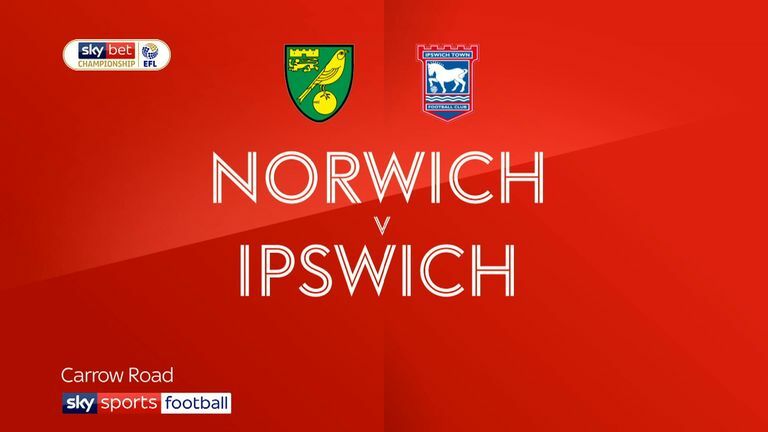 Norwich boss Daniel Farke admitted he was disappointed with the way things boiled over on the sidelines during their 3-0 win over Ipswich on Sunday. 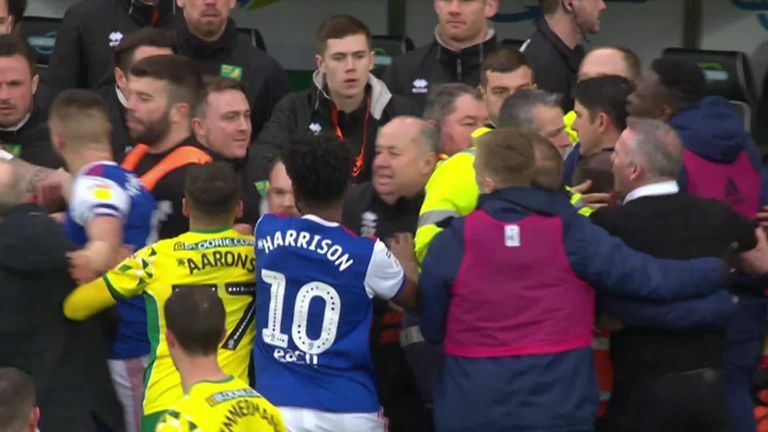 Shortly before half-time a poor challenge from Jon Nolan on Max Aarons triggered a melee on the pitch which spread to the dugout, eventually ending in Ipswich boss Paul Lambert and Norwich's Head of Performance Chris Domogolla being sent off. "Ipswich had to try and break our rhythm and try and annoy us and take our concentration away, but I think the most important thing is that happens on the pitch," Farke told Sky Sports. "Like I said I'm full of respect for Paul's great career on the pitch and he's still a hero in Germany. There are some great lads at Ipswich, on the pitch and on the sidelines, but some of the lads used a few words that I wouldn't want any children to hear. "My feeling is you can lose a game but show a bit of class. I think 95 per cent of Ipswich's staff did this, but not all of them." Lambert, meanwhile, said he got involved to help defend members of his coaching team, but says the situation has now been resolved. "I saw the tackle, which was a nothing challenge, then I saw one of their two lads come in and am I supposed to stand back and watch my own lads get bullied? I'm not going to do that," he said. "To be fair to the lads they went toe to toe, which is part of the game, and then something happened which I wasn't happy with, so that's why I reacted. There were one or two things there, but it's dealt with." Norwich got off to a flying start as Onel Hernandez gave them the lead within two minutes while Teemu Pukki added two more after the break. 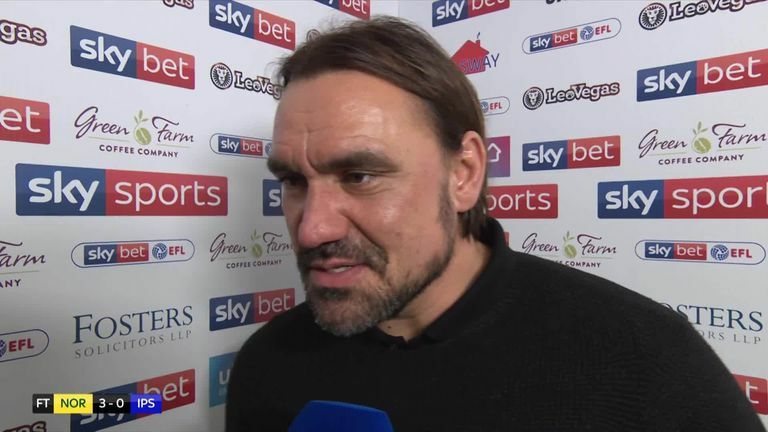 "Like I expected it was a difficult game," added Farke. 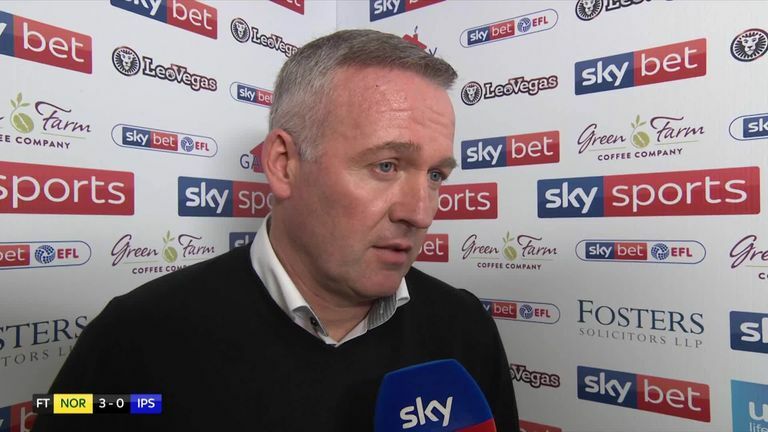 "Ipswich tried to get under our skin and they played pretty aggressively to try and annoy us and break our rhythm, and they did that pretty well. "For them it was a do or die game to try and change the atmosphere and mood around their club and get back into the relegation battle, but I thought we handled that pretty well and I can't remember one save Tim Krul made. "In the first half we had a few problems in terms of possession but we spoke about it at half-time and in the second half we were able to deal with it much better. I'm especially happy with the clean sheet."